There are positive signs, but it is still too early to say if the primary market will revive and retail investors return to it. The Sensex may be scaling new heights, but for the last three years, the primary market has remained dull. 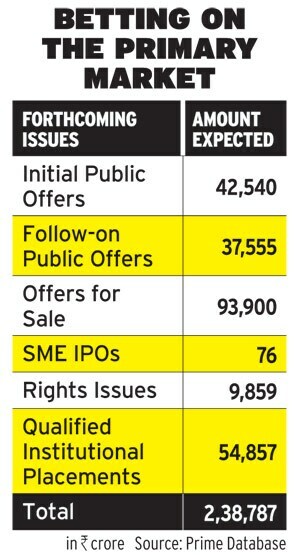 The amount raised through initial public offers (IPOs), follow-on public offers (FPOs), and offers for sale (OFSs) has been falling every year since 2009/10. In the last month, however, qualified institutional placements (QIPs) have boomed, with close to $3 billion being placed with institutional buyers by Indian corporate houses. Is it an indication that, with the hopes raised by the Narendra Modi government coming to power, the broader primary market will follow? Opinion is divided. "The scenario looks promising for the primary market," says Sanjay Sharma, Managing Director-Equity Capital Markets, Deutsche Equities India, Deutsche Banks' broking and investment arm. "After the election results, the sentiment has changed and given a new lease of life to many companies, which are now able to raise money through equity mainly to reduce their debt.". Plans already announced show India Inc intends to raise Rs 2.38 lakh crore from the primary market in different ways. But other bankers are more cautious. "Institutional interest is back, but broad participation will take some more time. 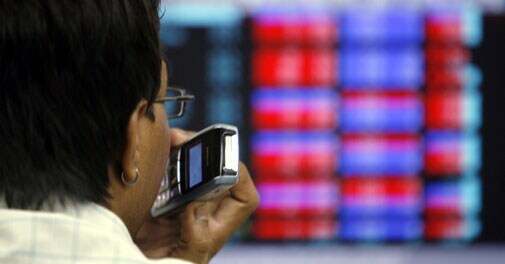 The IPO market will take nine to 12 months to revive," says V. Jayasankar, Senior Executive Director and Head, Equity Capital Markets, at Kotak Investment Banking. Prithvi Haldea, Chairman and Managing Director of Prime Database, which monitors the primary market, agrees. "I really do not see this as a true revival," he says. "True revival is when fresh capital is raised by unlisted companies. Today the issues are aimed mainly at the institutional investors. I see a lot more OFSs and QIPs." Ultimately, the retail investor must return for the primary market to boom. Chances of that are low. Ultimately, the individual, retail investor - who is barred from investing in QIPs anyway - must return to the primary market to boom. What are the chances of that happening? The impending public sector units (PSU) disinvestment could well be a draw. Oil and Natural Gas Corporation, Steel Authority of India and Coal India are expected to come up with OFSs to raise around Rs 40,000 crore. "A 10 per cent reservation for retail investors in the OFSs may see some retail money coming in, but the OFS is structurally not a retail-convenient method. Mainly, high net worth individuals may come in," says Haldea. There is a proposal for the PSUs to place some proportion of the shares at a discount for retail investors, as compared to the price sought from institutional investors, for which the government is in talks with the Securities and Exch-ange Board of India. "We bemoan the absence of retail investors, but our policy initiatives are all tailored to attract institutional investors," adds Haldea. In the last three years, almost all the funds raised in the primary market have been through QIPs, institutional placement programme (IPPs) and OFSs - all aimed at institutional investors. "Even the government, which has an obligation to expand the investor base, has opted for these routes," says Haldea. "If we are serious about getting retail participation, the most appropriate method is for listed PSUs going in for further divestments to make a 100 per cent retail offering and that too at a discount to the market price." For PSU IPOs, only 25 per cent should be reserved for institutions to enable price discovery, and the balance should be offered to retail at a 15 per cent discount to the discovered price, he feels. In the near-term then, there are no visible triggers for the revival of the primary market. "Since the IPO process is time-consuming, we may not see a rush in the immediate future - IPOs will start happening on a regular basis towards the end of this calendar year," says Girish Nadkarni, Managing Director at Motilal Oswal Investment Advisors. He expects infrastructure and financial services companies to dominate the issuance market. Be it PSU disinvestment or private sector IPOs, success is only possible if the company fundamentals are good, combined with an offer price that the market thinks is attractive. If a couple of offers start quoting at a premium to the offer price, investors will be drawn.